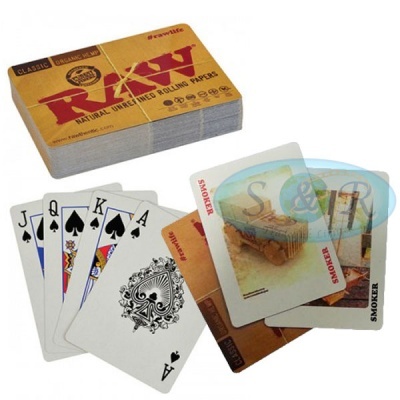 Standard Pack of 52 Playing Cards, featuring the Raw logo on the back and 2 "Smoker" Jokers. These may not be around for ever, so grab them while you can. Another cool little extra from RAW.